Iridium handheld satellite phones work where no others do and are extremely robust and reliable for both voice and data. Globalstar phones may be the anser for the coastal cruiser at its lower price point while providing data speeds up to 9.6kbps. 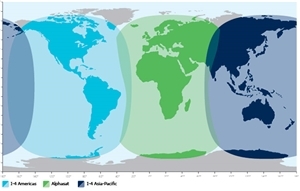 The new IsatPhone Pro2 from Inmarsat offers great voice services in low to mid-latitudes. The Inmarsat mobile broadband services for land-mobile applications know no peer. VSAT delivers fixed broadband for remote locations at highly competitive rates. OCENS now offers Thuraya satellite phones for those looking for the most reliable and cost effective solutions in Europe and Asia.